A former firefighter filed a lawsuit against the city alleging he was forced to retire after receiving a workers’ compensation payout that exceeded $100,000. 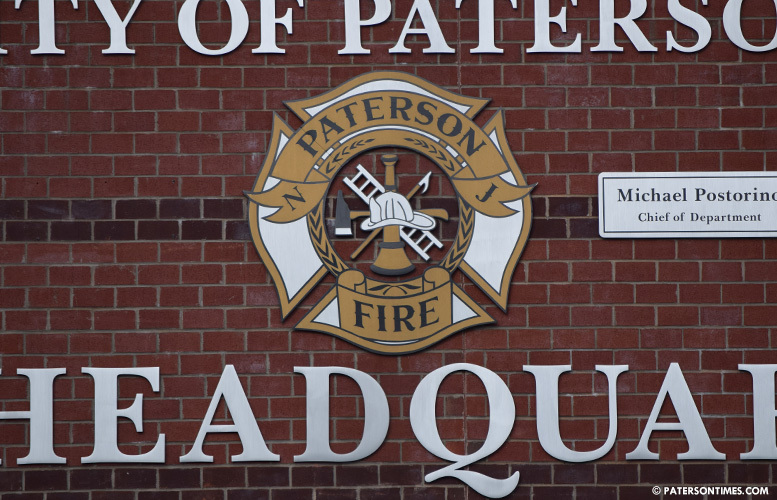 Former fire captain Carl E. Larson’s lawsuit was dismissed by a Passaic County Superior Court judge, but he filed an appeal. Larson partially won his appeal in late October. He argued the court made an error granting summary judgment in favor of the city and dismissing his complaint. A judge citing the New Jersey Law Against Discrimination thought Larson should take up his workers compensation claim that led to the alleged retaliatory termination with the New Jersey Attorney General’s Office. The same judge dismissed his claim that he suffered age discrimination. “The court concluded the exclusive forum for plaintiff’s retaliatory discharge claim was with the Attorney General. We disagree,” wrote New Jersey appellate court judges Carmen Messano and Francis Vernoia. The earlier judge also found there was insufficient evidence that Larson was forced to retire. The same appellate judges wrote the court was correct in dismissing Larson’s age discrimination claim. “The record is devoid of any evidence that he ‘was replaced with ‘a candidate sufficiently younger,’” wrote Messano and Vernoia in their Oct. 26th, 2017 decision. Larson was 49 when he was allegedly forced to retire. Larson had been employed for 26 years when he was allegedly forced to retire in 2013. He reached the rank of fire captain in 2007. In 2010 and 2011, Larson filed workers’ compensation claims for separate work-related injuries. In November 2008, he underwent a surgical procedure for a work-related neck injury. A month later, he was medically cleared to return to work. In March 2010, he sustained ligament damage to his left ankle exiting a fire truck. Two months later, he returned to work without medical restrictions, according to court documents. The city council approved $105,876 workers’ compensation claim for both injuries on Feb. 13, 2013. A week later, Larson missed two days of work due to non-work-related injuries. While at home, Larson received a phone call from deputy fire chief Bruce Vandervoort, according to Larson’s complaint. Vandervoort told Larson to speak to captain Michael Trommelon for a fitness for duty examination. Larson told the captain he was prepared. Trommelon told him fire chief Michael Postorino wanted Larson to remain off-duty and to call back in a couple days. Few days later, Larson spoke to Trommelon again and said he was ready for his fitness for duty physical. The captain told him the chief wants him to remain off-duty until further notice. Larson spoke to his union representative, captain Michael Caposella, according to the lawsuit. Caposella told Larson due to the amount of his workers’ compensation award and medical reports, the city was “looking to terminate,” according to court documents. Caposella told Larson to arrange a meeting with the fire chief. A meeting was held in mid-March 2013. Postorino, deputy fire chief Kevin Hancock, and Caposella were present. The meeting started with Postorino asking Larson whether he was wearing a recording device. Larson replied in the negative. The chief told him if he was wearing a recording device the meeting was over, according to Larson’s court filings. Larson told the chief he did not wish to retire. “Well, if you are telling me you are not disabled and you come back to work you are suspended without pay,” Postorino is alleged to have told Larson. The chief also allegedly told Larson that if he fought the city’s decision, he could go without seeing a paycheck for one or two years and spend $200 an hour on attorney fees. Larson in his lawsuit states the chief told him if he retired effective April 1, the city would keep him on administrative leave. However, if retirement was delayed until May 1, Larson would be required to use his terminal leave time and risk a $10,000 payout from accumulated leave time. After the meeting, Larson felt he had “no choice,” but to retire, according to his lawsuit. The appeal decision states Postorino never told Larson he was too old to continue working as a firefighter. He filed his retirement application the next day. This created the impression, Larson was retiring at his own will. However, he was allegedly coerced and given a “ constructive discharge,” according to his court complaint. “A constructive discharge occurs when an employer engages in ‘severe or pervasive’ conduct that is ‘so intolerable … a reasonable person would be forced to resign rather than continue to endure it,’” according to court documents. Larson later sued the city alleging the fire department forced him to retire in retaliation for asserting his rights under the Workers’ Compensation Act. The appeal decision states Larson provided information that shows “there was evidence” he was forced to retire. The city denied retaliating against Larson for filing workers’ compensation claims, according to court documents. Why did he go to a meeting with those 2 scumbags without a witness?